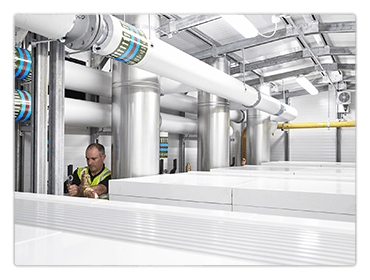 ELCO UK has supplied four R3604 gas-fired condensing boilers to Armstrong Fluid Technology, as part of a 4,000kW low temperature hot water (LTHW) packaged plant room. The containerised system has been installed at Chelsea FC’s training ground in Cobham, serving the under pitch heating coils. The floor standing R3604 boilers were specified by Richard Jackson, Senior Mechanical Engineer at the Anslow Partnership. 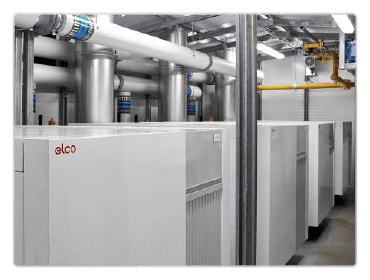 Commenting on the project and ELCO UK, he said: “Chelsea FC has a policy to keep energy use to a minimum and is very conscious of the environment, so the R3604 boilers were chosen because of their high efficiency and class-leading low NOx levels. Manufactured using all stainless steel heat exchanger components, robustness and longevity is inherent in the R3600 series of boilers. They also feature modulating down firing premix burners with unique water cooling to the combustion system, providing controllability with efficiency and clean burning. The down-firing water cooled premix burner arrangement of the boilers not only ensures maximum combustion efficiency; the NOx emissions of the R3600 boiler series are also Class five with the R3600SB models emitting just 11.5mg/kWh, easily exceeding the requirements for the best BREEAM NOx emission rating. 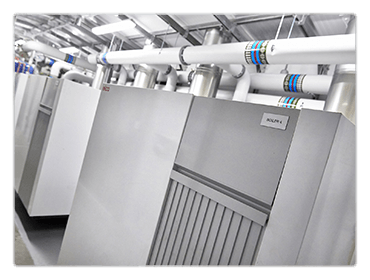 With a power range from nominally 660kW to 1.9MW, and the possibility to use up to eight boilers in a cascade arrangement, R3600SB boilers are ideally suited for larger commercial heating applications. ELCO UK, formerly MHS Boilers, has over 30 years’ experience in supplying heating and hot water products to the commercial sector. This is complemented by the latest renewable energy technology and a dedicated field-based sales team. 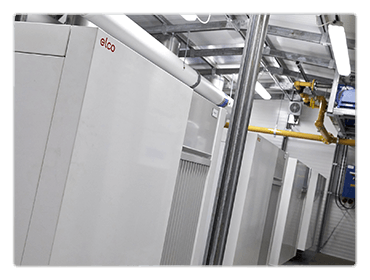 In conjunction with strong technical departments, ELCO UK provides system design advice and heating solutions to both specifiers and installers. 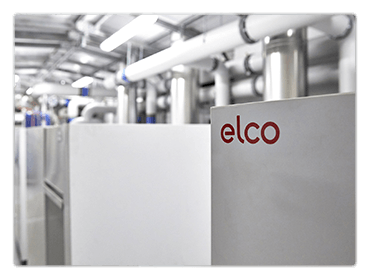 For more information on commercial boilers, hot water generation or renewables, please visit www.elco.co.uk. This entry was posted in Allgemein on 3. December 2014 by admin.